On a recent trip to San Francisco, my son introduced me to the local coffee culture. He avoided the franchise/corporate coffee shops that we are all familiar with. I’ll be the first to admit that the coffee we sipped was excellent. I’ve read about the coffee culture and even recall seeing a bit somewhere about the phenomenon crossing the country to NYC, skipping all of the intervening territory. Given the price of the coffee and equipment and the brand consciousness, I understand how that happened. During my two-day visit, we lined up several times for single-cup, Pour Over (drip) coffee. The coffee-makers—people making coffee—stand at a high counter and pour water from narrow-spouted pots into white ceramic, paper-lined cones filled with custom-roasted, freshly-ground coffee. The cones typically sit on a metal rack suspended over the targeted cups, allowing the worker to prepare several cups at one time. When finally at the front of the line, the customer specifies brewing method—the expensive drip coffee is about $3 to $4 a serving—the actual coffee selection, and the size of the serving. So many choices. The beans are ground while you wait. So much aroma. In two cases, the Blue Bottle Coffee Company kiosk (hole-in-the-wall) seemed to serve only coffee and maybe a few cookies, and provided no seating. One of the counters was in the Ferry Building, which houses a glorious number of upscale food and related product shops. I believe Blue Bottle has another serving area with a longer line and some seating, along with a selection of pastries. We stopped at another coffee shop, this one an actual storefront, featuring coffee prepared by various methods, coffee supplies, and seating. 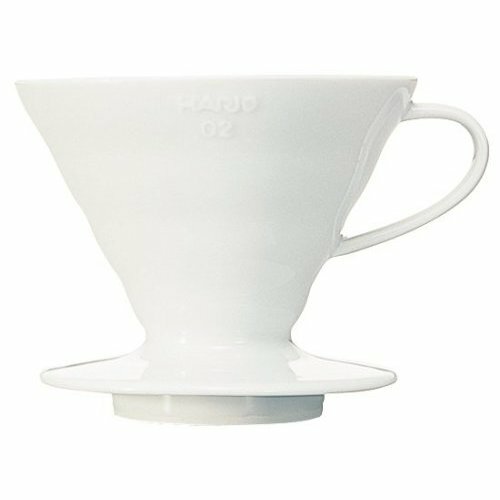 Set on making Pour Over brew at home, he purchased the equipment, selecting a special Japanese made ceramic funnel, Hario paper filters, and suitable coffee. He had acquired a hand-cranked ceramic coffee grinder earlier in the day. T he pictures on the insert packed with the ceramic funnel were somewhat explanatory. However, the Japanese characters providing the specifics were problematic for me. The videos below present two different preparation methods for the drip coffee. The third video . . . I prepared my Three African Coffee Beans at home using my electric ceramic blade grinder and my plain, old coffee press. Delicious. This coffee is a blend of Ugandan and two different Ethiopian coffees and produces a big, chocolately aroma, and excels in either the French press or the Mokka pot. Unlike some of our Ferry Plaza Farmers’ Market specials, which tend to be nichey and polarizing, this blend has a very easy-to-like personality, good body, unthreatening complexity, and reasonably clean aftertaste. We love Ugandan coffee here at the BBCC, as long as there are mitigating influences. The Ethiopian – Yirgacheffe and dry processed Sidamo – clean up the slightly raisiny aftertaste in the Ugandan, leaving a subtle imprint of dried blueberries and cardamom. 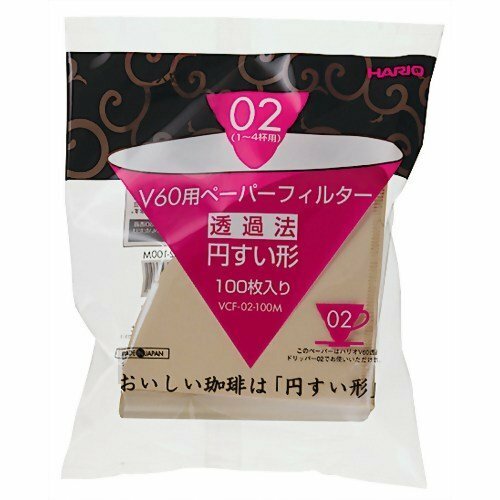 A fairly dark roast, this African blend will take milk or cream quite well. Some say damn well. Shipping: All prices include shipping and handling.